“Where is the noblest of all this crowd?”, originally uploaded by K?rrde. 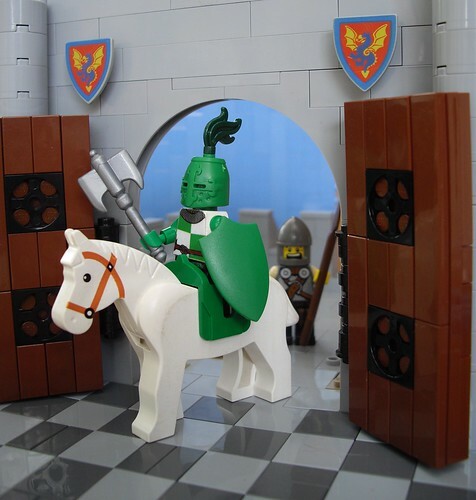 I really enjoyed this MOC when I noticed it in the LEGO Literature pool on Flickr recently, though I’ll admit it’s been a few years since I’ve read Sir Gawain and the Green Knight. (Pronounced Gah’-win not Guh – Wayne). While you don’t see an entire castle here, what you do see is very believable. And the photo came out great!